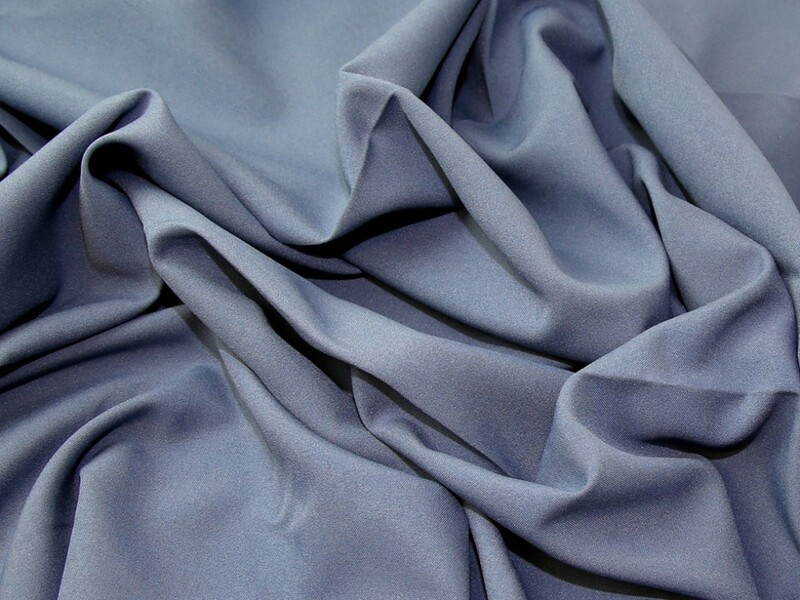 Bi Stretch is an extremely versatile medium heavy weight, dyed 100% polyester suiting fabric. It has inchgiveinch in the fabric but not a true stretch which makes it as easy to sew as it is comfortable to wear! Bi Stretch is woven to create a strong durable fabric. Often used for trousers, skirts and jackets, it is machine washable and tumble dryable, and available in a huge range of colours. Originally I bought the fabric to make some trousers, so did not buy lining fabric as I did not think I would need it, however on holding a single piece of the cut out pattern up, it seems very much on the lighter side of medium weight, which I felt for trousers it may feel a little chilly whilst wearing them, so had to put another order in for some lining fabric. I love this fabric! Have bought it in almost every colour now. Ive made trousers, skirts, dresses and jackets with it, very versatile. It pretty easy to sew with too so good for beginners. Best thing about it is it washes very well. Never had any problems. 5 stars! !